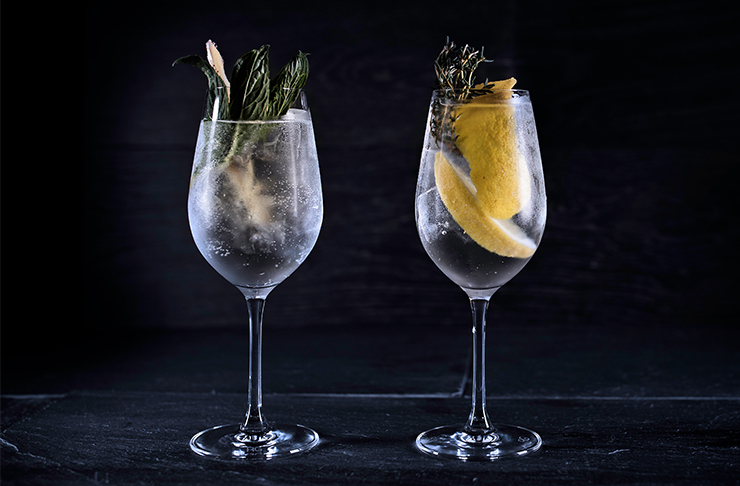 G&T lovers, we've got the ultimate gin-fully decadent event and trust us, you’re going to want your hands on these limited, gin-timate tickets. Bombay Sapphire is hosting an innovative, immersive multi-sensory event complete with four cocktail and food tasting experiences (yes, you can skip the gym and swap it for gin). The event marries an original music track composed by Ta-Ku with tech-led immersive installations and the finest foodie delights from Studio Neon's Aaron. Each experience is inspired by cuisines from countries around the world. Every country corresponds to one of Bombay’s sustainably sourced vapour-infused botanicals, and promises to bring an orchestra of sounds, smells and visual delights to the (metaphorical) table. In other words, the full package is real and it’s running for four days only. We’ll give you a moment with your gin. Mjølner will be mixing cocktails to enjoy with your lemon (that’s not really a lemon) treat. Further down the track, you’ll find food beauties like Java-inspired cubeb berry botanical fairy floss (the adult-version of candy, we think) on char-grilled chicken, liquorice cocktails that speak to China’s backstreets and jungle-inspired drinks. Project Botanicals: A Journey To The Edges Of Food, Music & Imagination is a full two-hour experience, designed by Perth-based Future Classic artist Ta-Ku and culinary expert Aaron Teece, in collaboration with top cocktail bars including Mjølner and Union Electric. The event is a 360 audio-visual space, so expect light installations, original soundtracks and the freakin’ works. Paw for your purse, the details are below. $$: $40+bf for four food and cocktail tasting experiences, and one signature gin and tonic twist. Additional dishes and cocktails are available for purchase for $14 each.